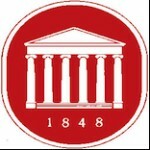 The University of Mississippi offers direct exchange programs at Nanjing University, Beijing Language and Culture University and Hong Kong Baptist University. Through University of Mississippi's exchange agreements you can spend a semester or year abroad. Students who study abroad on an exchange pay University of Mississippi tuition and fees for the semester that they’re abroad and remain enrolled as UM students. Independent students will find this type of program offers them the greatest connection with the culture and people of the country in which they are studying. The advantages to exchange programs are that students enjoy a high level of independence at a low cost.